The girl is back in ze motherland! Whoa. 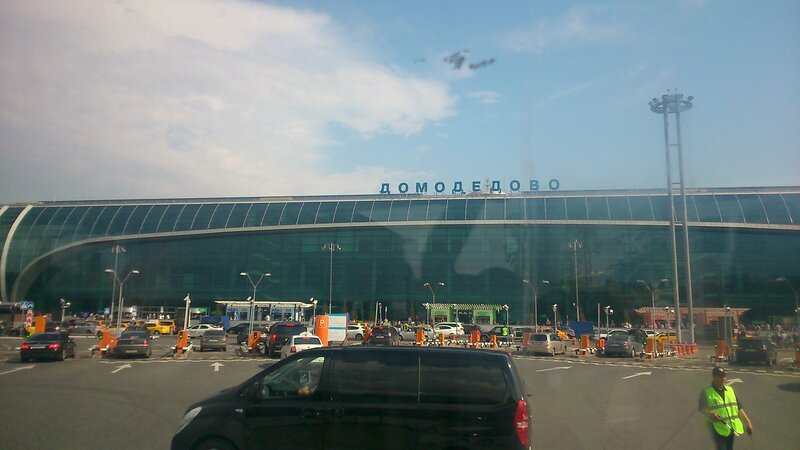 Pictured in the horrible featured image: Domoedovo Airport, Moscow. And also some dirt on the bus window. Photography skills: 10/10. Of course, I didn’t arrive completely without adventure. It all started in Brussels airport, where I arrived in plenty of time (shockingly), only to find that my bag was 27kg. Oops. I’m sure it was nothing at all to do with the 9 bottles of Belgian beer in my bag..! So, being unwilling to spend 35 euro in fines, I settled down to repack my bag. And by ‘repack’ I mean ‘throw out beer’. I asked a staff member whether there was a bin nearby where I could throw out said beer, and she was absolutely shocked. “You can’t throw out beer,” she exclaimed. She then assisted me in repacking things from my suitcase into an assortment of bags I could take into carry-on, and we left out some beer then reweighed my bag. It was just under 23kg—so she gave me back the beers I was going to throw out, turned the scale off, and let my again-overweight luggage go straight on through. Result! I spent most of the flight asleep thanks to a somewhat hectic few weeks, then landed, passed through immigration (after a bit of questioning about what my ‘business’ is here in Russia), and—I was back! I pretty much went straight to Му-Му (moo-moo) for snacks, then jumped on the bus to the metro. All along the road were little old ladies selling berries picked straight from the forest by an array of lanky-looking men. It was super warm, also—my first-ever hot weather in Russia! My other first re-impression was the smell. I’d forgotten about the Russia smell. I mean, it’s normal for countries to smell different—the UK is really distinctive, as is Australia. And apparently Russia. It’s a weird musty smell, mixed with undertones of excrement and a coppery tang. It’s strongest in the metro, but you can also smell it in the streets and on the roads. It’s not really offensive, just different. Then there’s the metro: it’s so good to be in a country with such excellent public transport again. And navigating the metro is a breeze (having pre-downloaded Yandex.Metro was probably not a terrible idea). In saying that, it would probably be very difficult for someone who can’t read Cyrillic, as the signs aren’t in English. Actually I’ve been really surprised by how much English there is in Moscow—it’s far more than there was in St Petersburg when I lived there. Lots more people seem to speak it, more signs are in English (though these are still rare), and apparently there’s a solid ex-pat community who actually hang out and speak it. I went to a freaking comedy club with stand-up in English, for goodness’ sake! (But more on that in a sec.) All the same, even finding the hostel where I’m staying might be tricky, because nothing can be easy in Russia ;). In fact, a lady at the hostel said that she thinks foreigners who come to Russia are ‘almost heroic’, because of its sheer difficulty. Haha I’m really selling it here, right?! A few hours after getting in I met up with Jack, who I did my CELTA course (fancy English teaching diploma) with in Prague. We went out for an “epic pizza of epicness” (I wrote this in my notes for this post, but I think it was just the hunger talking) and some delicious lemonade (I’m such a child—and no, I’m not going to stop with the interjections). We then popped next door, to the comedy bar. Where a Russian guy speaking English with an American accent ripped on Australians for our inability to speak the English language. Apparently he lived there for six years, and was stoked to arrive in an English-speaking country: only to realise that we maul the language so badly, he couldn’t make heads or tails of it. He was pretty entertaining. I was only out for a few hours—Jack left at about 11pm and I stayed on for another hour or so chatting to a couple of his friends. The usual Russian bar stereotypes held (as pointed out by Jack)—there were many more women than men. And actually there were mainly women in the sitting/drinking areas, and more guys on the dance-floor. The exception being three incredibly thug-ish looking guys who were sitting in a booth and clearly planning on world take-over or robbing a bank—it was definitely one or the other. Posts re Saturday and Sunday-Monday will be up soon.